NEW CARLISLE — American Legion Post 286 hosted its annual Flag Retirement CeremonySaturday, June 13, at American Legion Post 286, 2251 N. Dayton-Lakeview Road. The ceremony is one of the largest flag retirement ceremonies in the country, and thousands of American flags are honorably retired. The event draws hundreds and other area Legions and veteran associations participate in the ceremony. 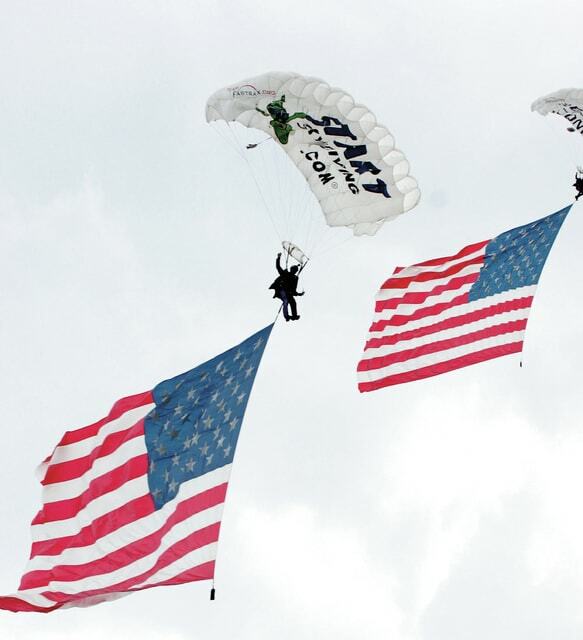 The ceremony was preceded by a demonstration from Fastrax Precision Skydiving Team.